Yesterday at mid day I was the only one in the parking lot at Fisherman's landing. Can't imagine many people out this morning, the ground is white in Mercer. 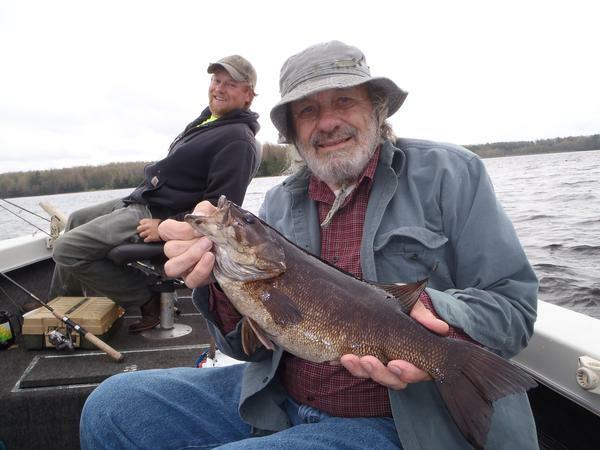 Found a couple guys willing to put on their ice fishing type clothes, brothers Terry and Joe. 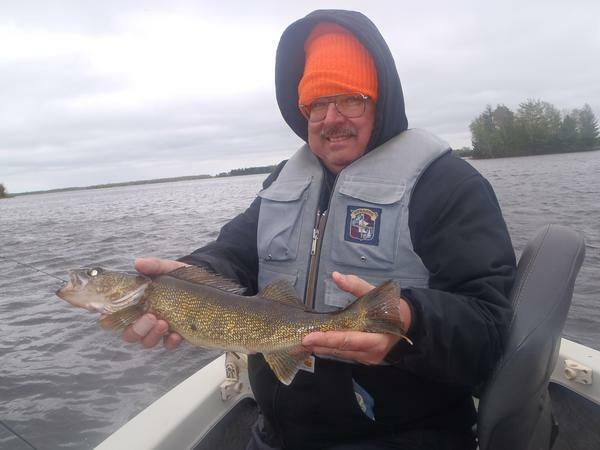 After the first two spots and a couple small walleyes I thought the dreaded May cold front had the fish shut down, after plugging away at spots in the 8-16' range we wound up with a nice catch of fish. 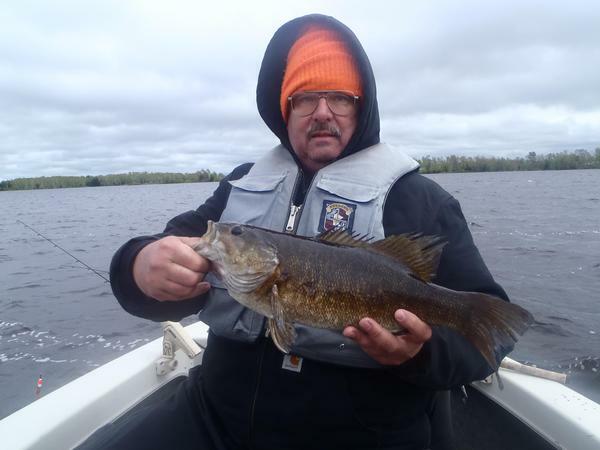 The wind, rain and all around tough to be out in weather apparently triggered some of the bigger fish, we had a 19-1/2" walleye and biggest of the year so far 19-3/4" small mouth. The crappies we have found were in deep water in the 14-20' range in past trips, they have not spawned yet. Yesterday did find one big crappie in 8'.